The Montreal translator of the Canada Reads 2019 contender Suzanne by Anaïs Barbeau-Lavalette discusses the books she's loved reading. Montreal's Rhonda Mullins is the translator of the novel Suzanne by Anaïs Barbeau-Lavalette. Suzanne will be defended by Yanic Truesdale on Canada Reads 2019. 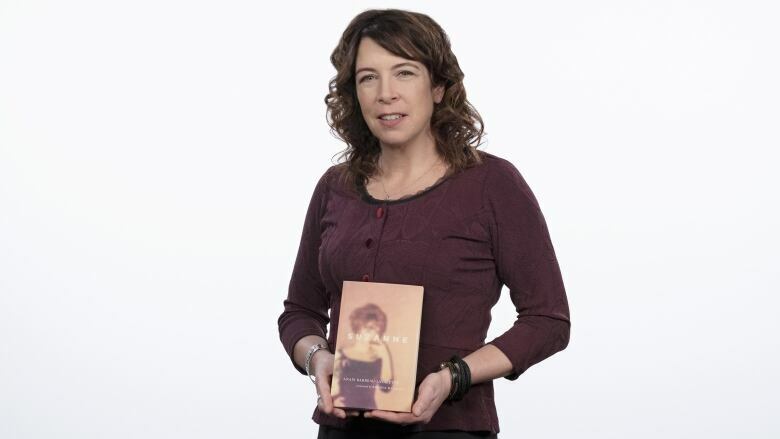 The writer and translator won the 2015 Governor General's Literary Award for French-to-English translation for Jocelyne Saucier's Twenty-One Cardinals. And the Birds Rained Down — her translation of Saucier's Il pleuvait des oiseaux — was defended on Canada Reads 2015 by Martha Wainwright and was shortlisted for a Governor General's Literary Award. Canada Reads 2019 takes place March 25-28, 2019. They will air on CBC Radio One at 11 a.m. (1 p.m. AT/1:30 p.m. NT), on CBC at 4 p.m. (4:30 NT), streamed online at CBC Books at 11 a.m. ET and will be available on the free CBC Gem streaming service. Mullins spoke with CBC Books about her love of reading and the life of a translator. What books do you recall reading in your childhood? "When I think of my childhood, it seems I read a lot of books that featured plucky and independent girl characters. I was very taken with Louisa May Alcott's Little Women. I loved Anne of Green Gables by Lucy Maud Montgomery. My family is actually from P.E.I., so there's that connection! I loved reading these kinds of little girls who have to independently make their way in the world. I ended up translating a book that was very much like that in Little Beast by Julie Demers, which is about an 11-year-old girl in the wilderness. I might have been attracted to it because some of the reading I did as a kid. When I think of my childhood, it seems I read a lot of books that featured plucky and independent girl characters. "As a young adult, I was drawn to books that were thick with a large page count. I guess that meant I had time on my hands back then! These days, I can't commit to thick books. But I loved Anna Karenina. It's sweeping but intricate at the same time. It makes you feel like you've moved in with the book because it takes so long to unfold. I loved Victorian literature like that — those big thick bricks appealed to me. "And the first book I read in French was also a thick brick. And it was Yves Beauchemin's Le matou, which is The Alleycat in English. I was living in the neighbourhood that it was set in — I literally could look out my window across the street and see The Beanery, the famous restaurant in the book. It was the first French book I read without being forced to in high school. That's when I realized that it was possible for me to read in French for pleasure." As a translator what do you like reading that actually helps you in your line of work? "I'm actually reading Winnie-the-Pooh at the moment. I am currently translating this book that is described as "The Blair Witch Project meets Winnie-the-Pooh" and features a sing-songy type of language. I decided to read the A. A. Milne book again. It is a such wonderful thing to read as an adult. It's got such a playful use of language. When you read it at different ages in your life, there's different things that come to you. And this time, Pooh's stoutness exercises rang a bell with me. "Another book I've been into is by the late Ursula K. Le Guin. I've never actually read her before, but I recently read her book of interviews called Conversations on Writing. She wrote this toward at the end of her life, so she had a lot of wisdom. She talks about poetry and prose and she talks about genre writing. "She talks about writing being in the body. She strips it bare in talking about writing and it being a very physical and organic thing. That resonated with me because — particularly when I'm translating a book from French to English — I'm trying to find a book's rhythm. Once I find that, I have to essentially take it apart and in putting it back together, sometimes it's hard to find a rhythm in English. It does become very much about feeling and hearing things 'click.' When you make it happen, you almost feel a sense of relief." "I've been trying to read more poetry. I've tried to do this at various times in my life and I'm finally managing it. I think the gateway poetry for me was actually the found poetry subgenre, particularly a book by Pasha Malla and Jeff Parker called Erratic Fire, Erratic Passion. They took these interviews by athletes and they pulled the lines together and they created poems. That was the gateway poetry for me. I wouldn't call found poetry gimmicky, but it's a very accessible way of approaching poetry. More recently I've been reading Emily Dickinson. She's like a curiosity cabinet; it's so intricate and seems impossible." "To get very obvious, Margaret Atwood. I've read a lot of her fiction. A book like Alias Grace.... Atwood just has that ability to just shake your bones, the way she writes. Sometimes I don't see her coming and all of a sudden the hair will go back up on the back of my neck. She's got that ability to take you by surprise." Do you have a go-to place for books? "I'm from Montreal and Librairie Drawn & Quarterly is my favourite independent bookstore to visit. People associate them with graphic novels, but they have an incredible selection of books. They are also an incredibly good member of the community — they host writer readings and events and are supportive of local and international authors." "I read a LOT from work. So that idea of cozying up with the book that I want to read just for pleasure happens maybe twice a year. In between translation projects, I tend to read short things or graphic novels. I don't feel like I can get into a longer read. I like to read in cafés or bars, places where there's some white noise if I'm reading for work. There's something about it that keeps me engaged and not thinking about going to bed or turning on Netflix. But I do happen to have a spare room at home where I love to curl up with a book — when I do have the time!" Rhonda Mullins's comments have been edited and condensed.